Higgins have been involved with industrial pipework and industrial / commercial gas installations for many years. 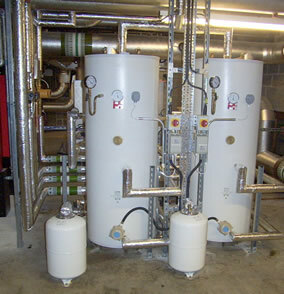 We can supply and install a wide range of gas and oil fired systems designed to meet the requirements of both industrial and commercial environments. Warm air heaters can provide the ideal heating solution for large space areas such as factories, warehouses, showrooms, schools & offices, whereas radiant tube heaters can supply spot heating for dedicated work areas in a large factory unit.